This is the popular Zenith Broadway model in bright red. 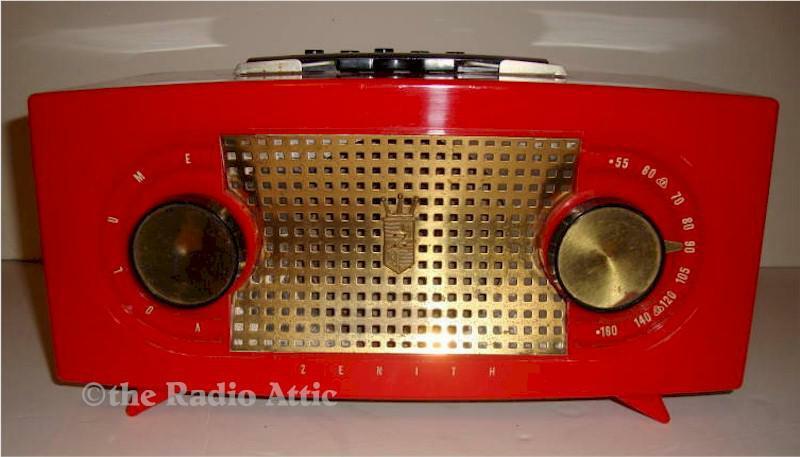 Classic mid-century design with gold metal insert grille, handle and pushbuttons. I love the cool dial light, too. Way over designed but super cool. Case has some wear but displays well. Radio plays but has some static and distortion. Add $38 for domestic shipping. You are visitor number 964 to this page.